Rockin’ Onion Rings at Rockpool | 15,000kms of Food! 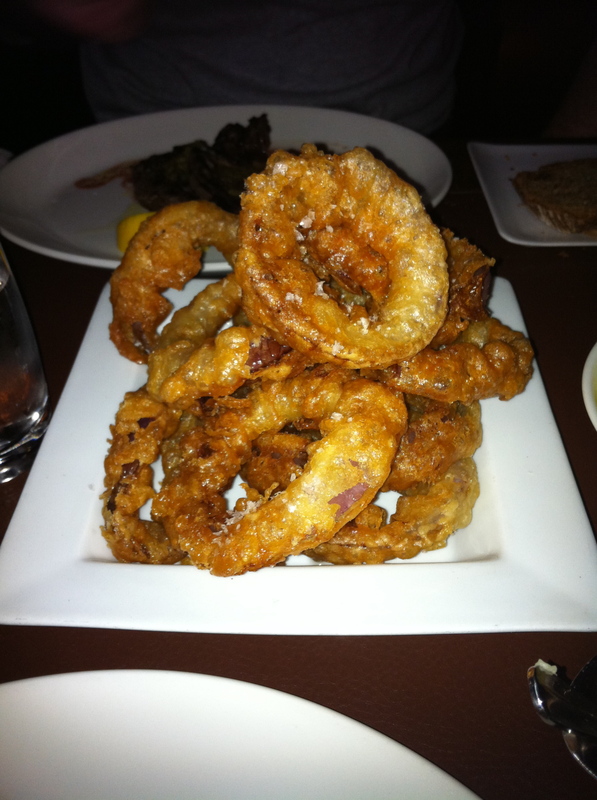 In my opinion the best onion rings in Melbourne are at Rockpool… They are crispy, juicy, salty golden deliciousness. Time and time again I’ve found myself here for the Onion Rings and Potato Puree, which is silky potato perfection. 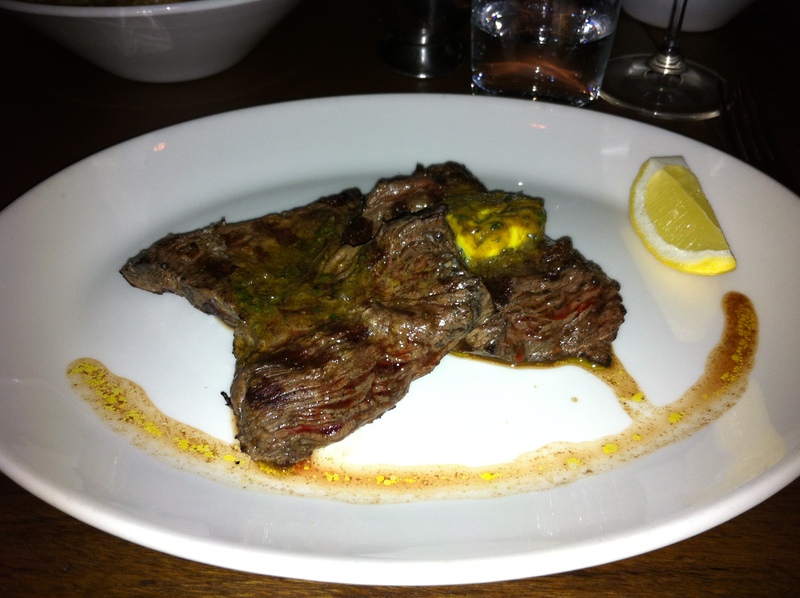 If you’re a bit strapped for cash, and can’t afford to pay $60 for a steak, the bar menu is an affordable alternative. Winners on the menu include the famous “David Blackmore’s Full Blood Wagyu Hamburger with Bacon, Gruyere Cheese and Zuni Pickle” and “Wood Fire Grilled Fillet Minute Steak with Café de Paris Butter“. 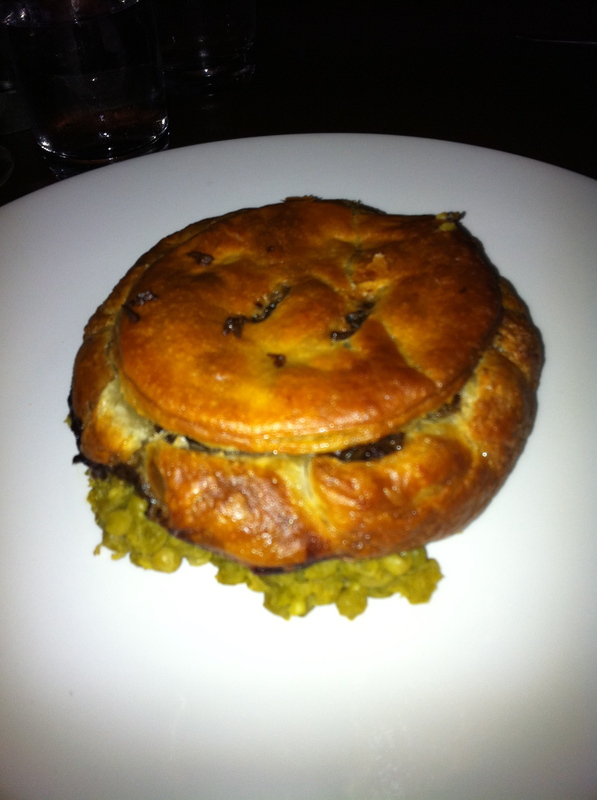 A recent addition to the bar menu is the “Beef and Guiness Pie with Mushy Peas” which was phenomenal! Melt in your mouth beef bathing in tasty sauce encased in a crusty buttery pie pastry. Beware: it is super tasty. We had dessert…. “Dark Chocolate Pudding Tart with Chocolate Sorbet“. It was superb! 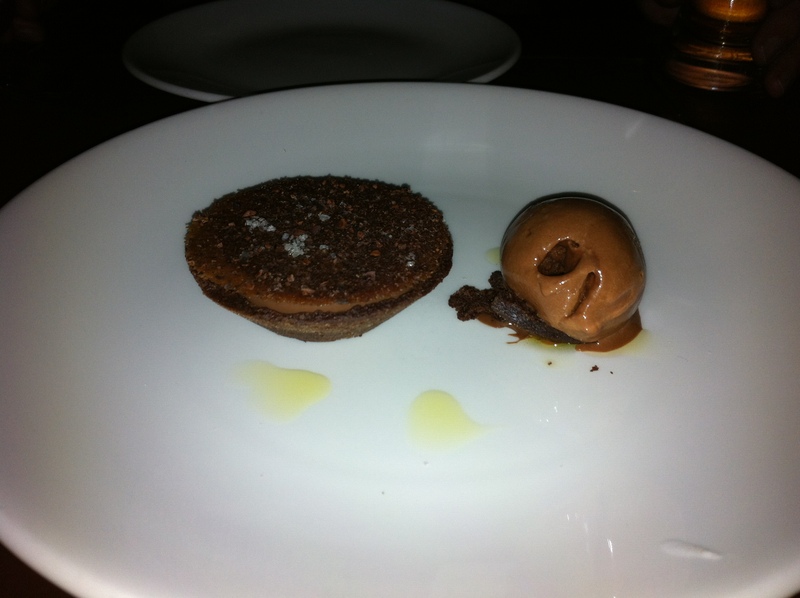 Dark chocolate tart – slightly bitter and salty with a light sweet sorbet. Sooo good! I’ve been here at least once a month for the last 12 months, so without a doubt this is one of my fav places to dine in Melbourne! Previous PostGolden Fields and the infamous Lobster Roll…Next PostBoston Food Trucks and Lobster! 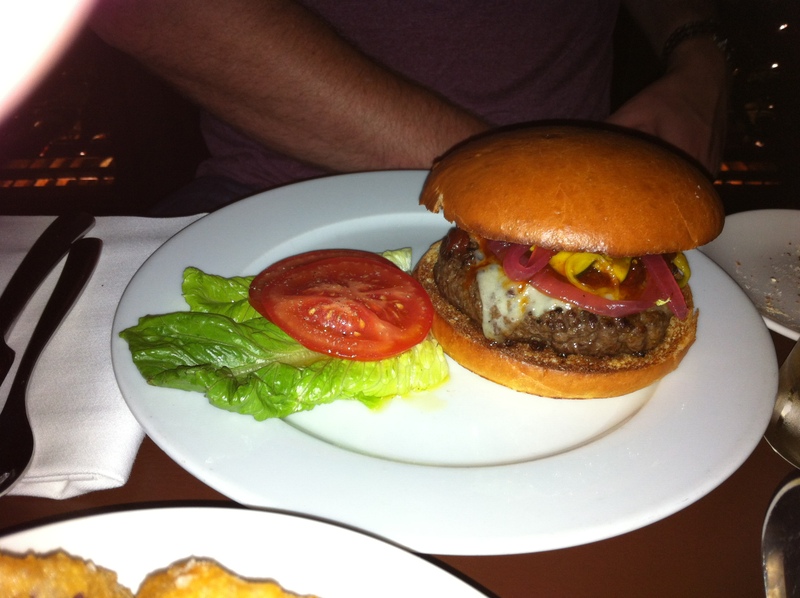 Reblogged this on 15,000kms of Food!.